Most of us are not against change. people try to change the atmosphere around them. Such a useful desire often becomes an occasion for cosmetic repairs. New kinds of finishing materials are constantly appearing on the market. These include 3D wallpaper designs. Modern materials will make it possible to create a completely unique interior without much expense. 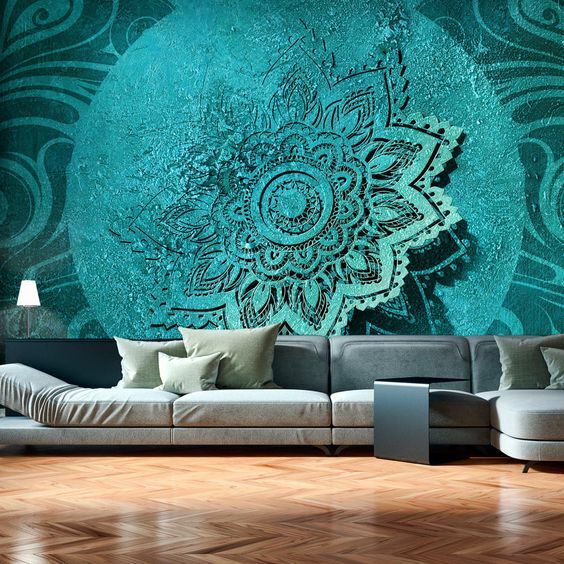 In addition, such a wall covering can visually expand the space, create a special effect. Not so long ago, an ordinary consumer could not afford such a "luxury": the wallpaper was considered exclusive, made on order for a lot of money. Fortunately, sooner or later all trendy innovations are made available to the vast majority. Today, 3D wallpaper for home walls is a special pattern applied to the wall covering, which creates a distinctive three-dimensional image. This way of decorating the interior is not considered such an innovation for modern designers. The idea of creating 3D wall murals worried the ancient masters, who tried to combine a variety of shades and tonalities to achieve the effect of three dimensions. 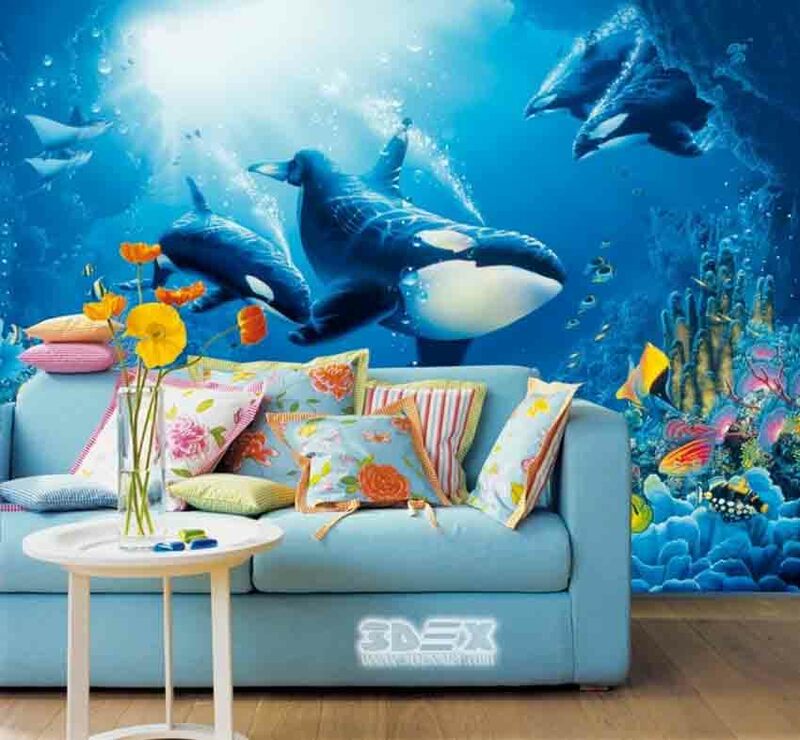 Using 3D effect wallpaper for living room walls and a creative approach for interior decoration, you can get an absolutely incredible design of the home. It will be original, unusual, with a special atmosphere, cozy or festive. Whatever you want!. This wall covering, as usual, should be combined with overall style: the decoration of the ceiling, the floor, curtains, and furniture. This material is allowed to stick not only to the walls themselves but also to decorative partitions, cabinet doors, ceiling and even doors. 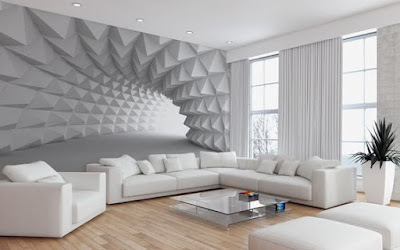 3D wallpaper for home walls in the apartment is gaining momentum and popularity. Science is rapidly evolving, progress is moving by leaps and bounds, and here, 3D technologies stormed into our lives and reached the wallpaper. 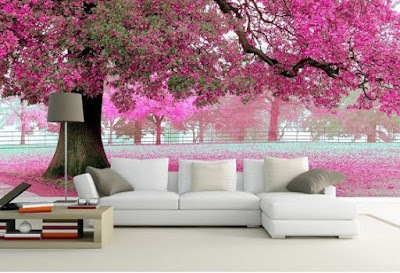 lovely flowers, patterns and flat abstractions and photo wallpapers, today 3D effect wallpaper for the living room and bedroom takes occupy the leading positions in wall coverings list. The main feature of these products we have already noted is the infinity design options. 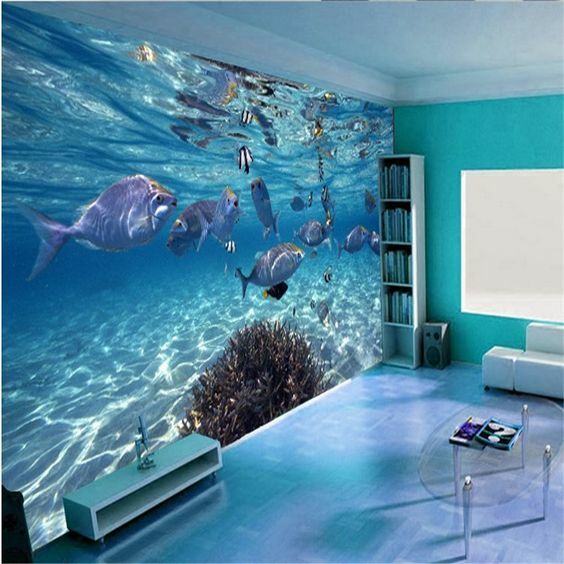 The technology of creating such wall coatings is similar to the production of photo wallpapers. Preliminary modeling is done using a computer. To do this, there is a special program that helps to choose colors, print. For wide format printing, various roll materials are suitable: paper, non-woven, vinyl. 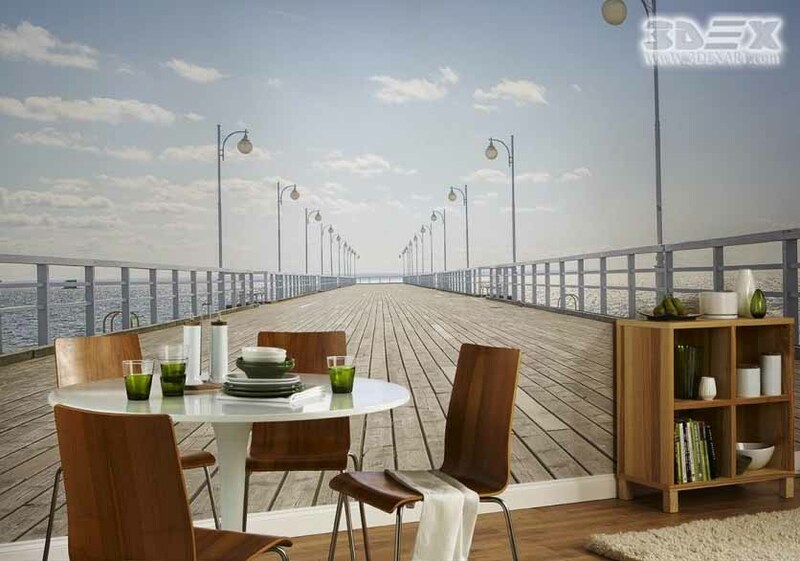 Depending on the type of substrate used, 3D wallpaper for walls, dining room, bedroom or kitchen is selected. Panoramic. These 3D wallpapers are applied to the wall with a single cloth, they differ in a panoramic pattern, which seems to remove all boundaries. When you look at them an illusion is born, as if it is worth taking one more step - and you will enter a parallel reality and find yourself in another voluminous world. Any image can be applied to them, it can be a simple landscape, seven wonders of the world, surreal images, footage from famous and favorite movies, etc. After applying such 3D wallpaper in the living room or bedroom, we can feel every day as a full-fledged hero of your favorite film or live life in Another galaxy. Standard. These wallpapers completely cover the walls, they do not presuppose the selection of a picture and represent voluminous geometric figures, sea waves, cosmic themes in the form of a starry sky, abstract or ethnic patterns, etc. Their main advantage is the ability to visually expand the space of the room. Single. These are parts of three-dimensional images that do not completely cover the wall but are used as a separate element and are applied to the wall surface as a picture. Sometimes they are decorated with frames. LED 3D wallpaper: It's not even three-dimensional wallpaper, but a real electronic system that gives a unique opportunity to change the picture. They are different combinations of multi-colored LEDs, which are built into a special chip. These moments give an interesting advantage - combining LEDs, you can not only change the picture, but also the nature of lighting since such 3D wallpapers are used as a backlight. Fluorescent. This combination of panoramic 3D wallpaper and lighting, the drawing changes the appearance from the type of lighting. 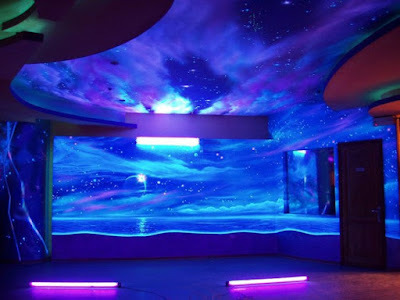 During the daylight hours, they look like normal panoramic volumetric wallpaper, and in the evening they emit a neon light that frames the details of the image along the contour. 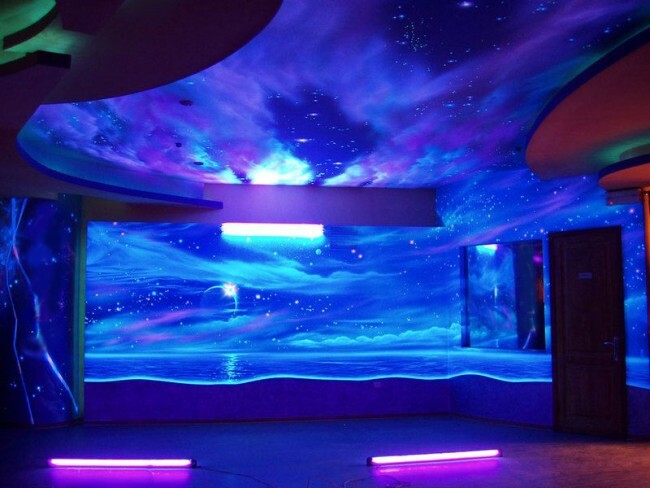 For their production, fluorescent lamps and luminous powder are used. 3D effect wallpaper can be used in any interior. They will remarkably emphasize the style of the kitchen, living room, bedroom or nursery. Coatings with a large pattern can be glued to the walls entirely, but it is also possible to use individual 3D images to decorate certain parts of walls or to allocate zones. For example, using them to decorate the kitchen space, three-dimensional drawings can be divided into a part of the wall between the bedside tables and the upper shelves, located in the work area. 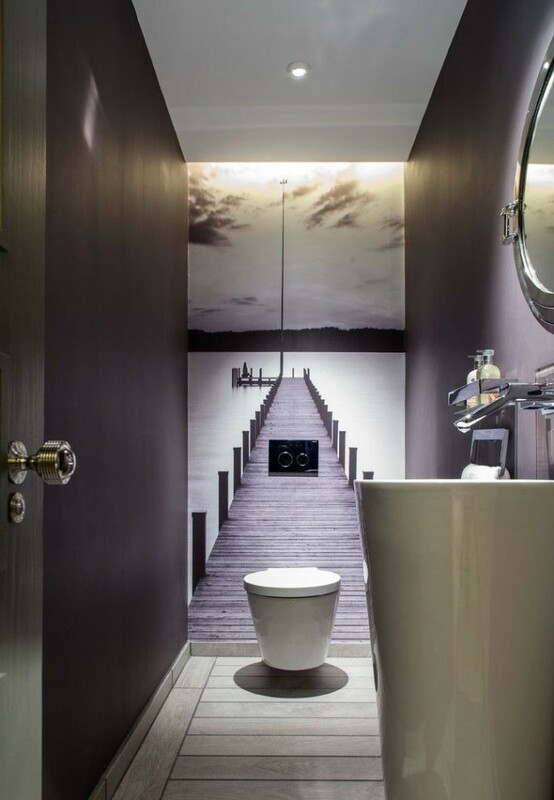 In rooms with a small area specially selected wallpapers can significantly expand the space visually. By themselves, any room can be visually divided into separate zones. 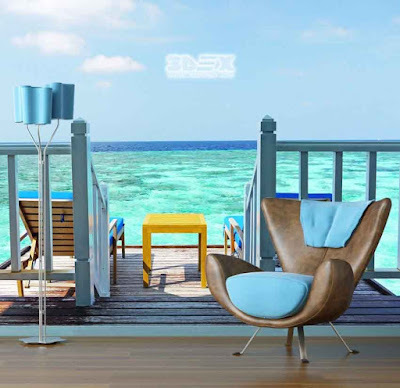 For 3D wallpapers to look stylish and effective, their overall tone should harmonize (or contrast) with the overall style and color of the premises. 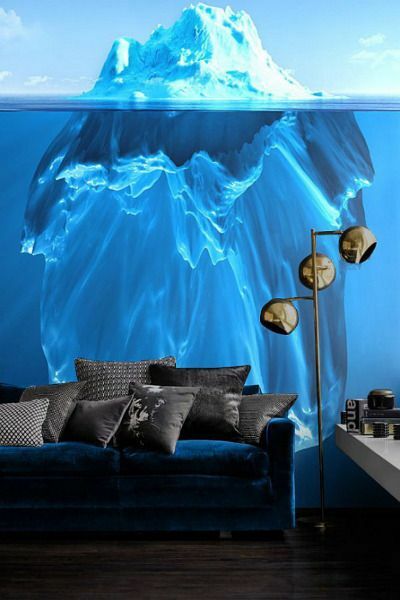 The volumetric drawing on such wall coverings should be clearly visible, but this does not mean that such an effect can be achieved due to bright and irritating colors. Also, do not use even very elegant pictures, which categorically do not fit into the overall interior. For the Art Nouveau or high-tech style, it's a good idea to focus on models with an abstract design. If the room is decorated in a classic style, then you can try to beat large panoramic images. But their drawing should also correspond to the chosen style. 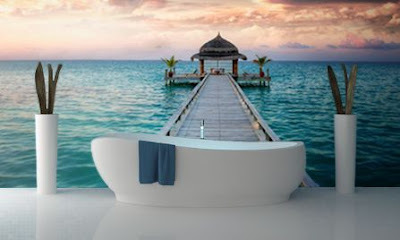 Most 3D effect wallpaper designs are perfectly combined with moldings or wood panels. How to choose a 3D wallpaper for walls? The choice of the substrate material for printing allows you to use wallpapers in different rooms. The most environmentally friendly version on paper basis can be used in bedrooms and children's rooms, living rooms, libraries, offices and even canteens. 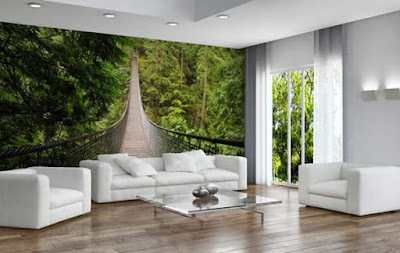 In rooms with a high risk of contamination, humidity and possible mechanical impact on the walls (hallways, corridors, kitchen and even a bathroom), you can use vinyl wallpaper on a non-woven base with a large-format image. wall coatings with three-dimensional images can be used in rooms of any purpose: living rooms, bedrooms, children's rooms, dining rooms and kitchens, cabinets and libraries, hallways, corridors and other utilitarian spaces. 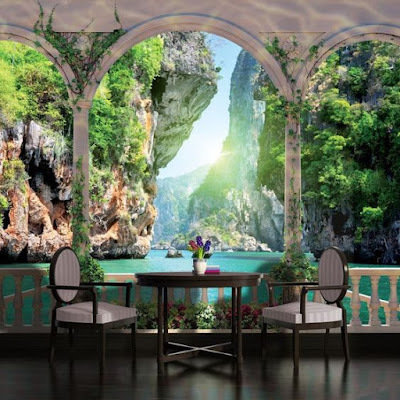 3D wallpaper murals with large-format printing can be glued both to the whole wall and to form a part of the vertical plane. You can decorate the ceiling (read our article on 3D ceiling designs) in the bedroom or the children's room. 3D effect wallpaper murals can be used to visually increase the space of small rooms. For example, a retreating path, a ladder or a road visually erase the boundaries of the room, sending our gaze into the distance. Even for very small rooms (corridors, bathrooms, space near the stairs), this visual effect gives an excellent result - the rooms seem to have a continuation in the painted world. Photo walls in themselves have an eye-catching effect, it makes no sense to use very bright colors, variegated combinations to create an accent in the interior. Even a black and white image become the focal point of the room, if it extends over the entire wall and, the more so, two adjacent surfaces. In the bedroom it is necessary to create a relaxing atmosphere for a good rest. 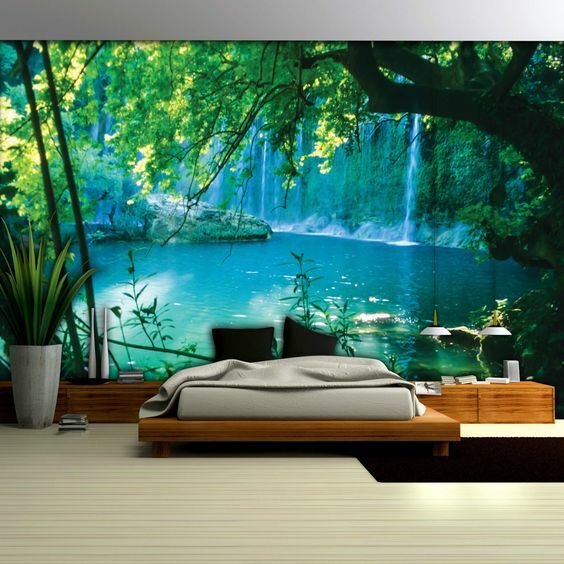 The ideal variant of the image of 3D wallpapers for bedroom walls is a natural landscape, photos of plants, flowers. 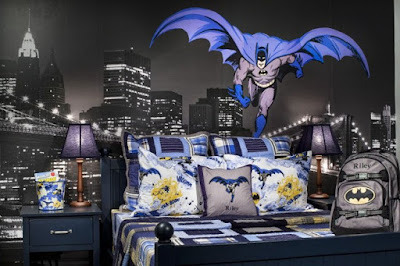 Most often, using wallpaper with a 3D effect, a wall is created behind the head of the bed, but much depends on the shape and size of the room, the location of window and door openings. 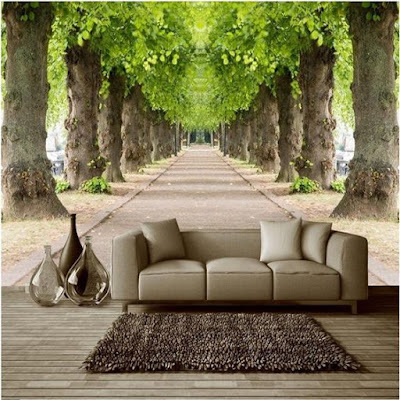 3D wallpaper for the living room: You can use both natural and urban landscapes, abstract images, your own photos, drawings of animals, insects and any objects in macro photography. Everything depends on the concept of the design of the common room, the chosen color palette, the finishing of the adjacent surfaces - floors, ceiling and other walls. For a children's room, 3d cartoons on the walls, or wallpaper with backlighting or fluorescent pictures, will do. However, here again, it is worth considering that not all children are quietly falling asleep when the light of diodes flickers or phosphoric glow. 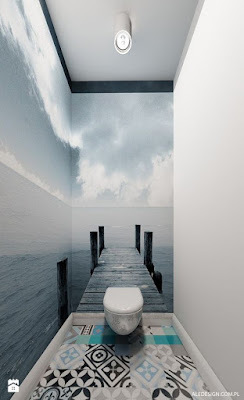 Surprisingly unusual and exciting look 3D wallpapers on the ceiling, it is best to choose themes of the day or night sky with stars, aurora borealis, etc. The design of the accent wall in the cabinet depends on what effect you would like to achieve from the image. If you need to keep yourself toned for work at home, then you need a dynamic drawing. If for the inspiration of creative activity you need a relaxing atmosphere, then landscapes, plants, flowers will be an ideal option. In the hallways, corridors, spaces near the stairs, as a rule, there is a shortage of useful area, so it makes sense to use images that help visually increase the volume of the room, or choose your abstract drawings. But it all depends on the style of the interior design and the place to create an accent surface. 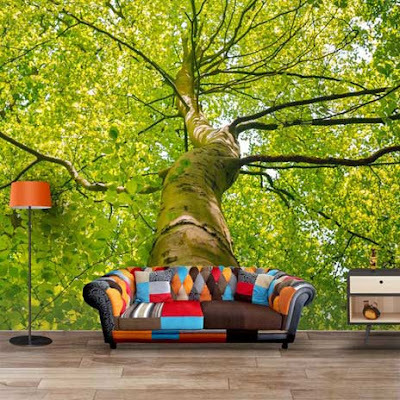 Some types of wallpaper with a 3D effect are perfectly combined with wall panels, moldings, wood inserts. In kitchen and dining rooms specialists do not recommend using thematic images with objects of everyday use, ready meals or their components - fruits, vegetables and other products. A large photo of food will constantly provoke an influx of appetite, it is better to stop the choice of neutral images - landscapes, plants, flowers, and abstract drawings. How to glue the sticker wallpaper? 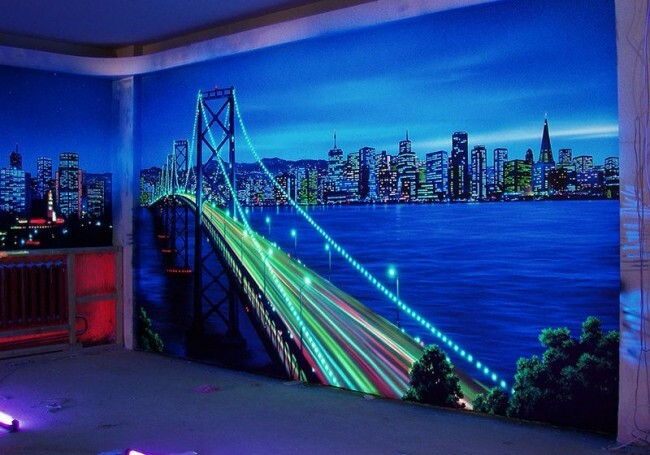 The 3D sticker wallpaper technology is identical to working with vinyl wallpaper, the same type of glue is used in combination with PVA glue, and the stripes are glued to the joint. It is better not to hurry and check the measurements more often, since even the smallest deviation can lead to "blurring" of the picture, thus, the entire visual effect will be lost.